Self-published photography books are all the rave at the moment in the photography world. Although photo books have been around, the advent of print-on-demand online services allowed the cost-conscious photographer to order single or multiple copies at very low costs, where before, the creation of photography books had to go through the usual route of seeking a publisher, raising the necessary funds as well, to stocking and retailing. Wedding photographers today never had it so good. Only five to ten years ago, producing one-off wedding albums for clients were either DIY scrap-book material or prohibitively costly industry printed glossy affairs. Today, many specialist printers are springing up to offer low run orders strictly geared towards the enthusiast photographer with a portfolio or two to show, and the design tools are becoming extremely sophisticated. In October, along with the other mentors on the KLPA Exposure+ Photo Project Mentoring Program, and our participants attended the second IPA Photo Books Show in Singapore organised by Kevin WY Lee of Invisible Photographer Asia. It was timely as the participants duly completed their 3 month-based photo projects earlier in June, and had further time to develop and design their photo books to coincide with this event. Not knowing what to expect, they were all geared up to self-promote their publications with great enthusiasm. The event was hosted by the National Museum of Singapore and stretched out for two whole days of the weekend, with Saturday morning allocated for setting up our ‘Malaysian’ stand. The day was interspersed with several book launches and talks at regular intervals with the public mingling and browsing rows and rows of photography books from many different genres. There were at least 200+ titles available for viewing, and many of the photographers were present also. For this event, the organiser called in books from SE Asia so there were publications and mock-ups from Indonesia, Malaysia, Thailand, Cambodia, Philippines and also Japan. Also launching at the event was Kevin WY Lee’s instalment of the TwentyFifiteen.sg photo book initiative by Platform titled Bay of Dreams. More about this project in the link. The weekend generated much publicity for our participants, who also had the opportunity to ‘plug’ their own books to the gathered public on the rostrum, and this is a great way to bring identity and visibility and also confidence to the photographer, as often is the case, ‘the artist is the art, and the photograph is the commemorative’. As the weekend came to a close, Kevin indicated that this second Photo Books Show generated sales of about SGD$20,000 and attracted 1,200 visitors. There were also 15 new book launches over the weekend and much publicity was generated online. For our contingent, everyone went home satisfied and pumped up, each with several sales of their ‘first’ book under their belt, and many new friends made. The event opened our eyes to the growing interest in self-published books, especially in Asia, and that sales can be a reality, if you have a genuine and interesting series of photographic works to be printed into a book. Definitely back for more next year. On a more personal scale, photography books also help photographers focus more on their projects in definite ways, in terms of editing and presentation, allowing serious in-depth thought, through the development and progression of their creative processes. I would like to extend our thanks to IPA and the Platform bunch for inviting us to the event. We hope for a bigger event next year. More here on the IPA website and more on EXPOSURE+ here. Still on the subject of photography books, I had the honour of meeting Fabrice Wagner who runs Le Caillou Bleu – a specialist fine art publisher based in Brussels, recently at the Mt Rokko International Photography Festival, in Kobe, Japan. Do check out his online catalog of some fine collectable books by emerging and established photographers. 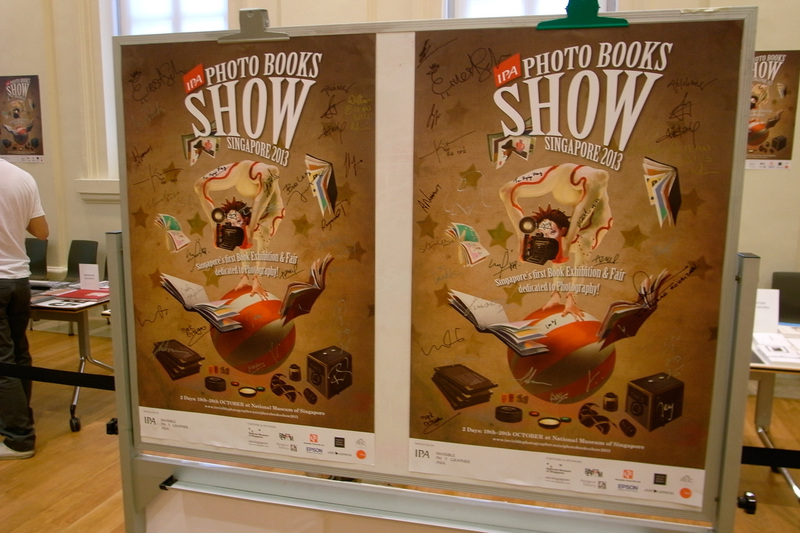 I came away from this festival with several self-published photobooks presented to me by the photographers I reviewed. 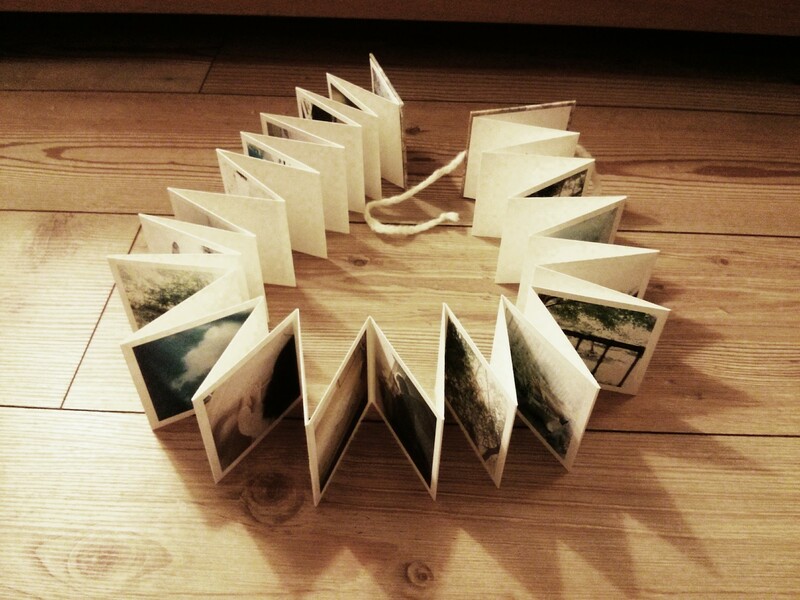 The most amazing little photobook one could ever receive was from Miki Hasegawa, titled Jewels, a handmade ‘accordion’ style book, no more than 3 inches square, with pastel images of photographs about her home taken from a child’s eye level of her daughter. Simply gorgeous.